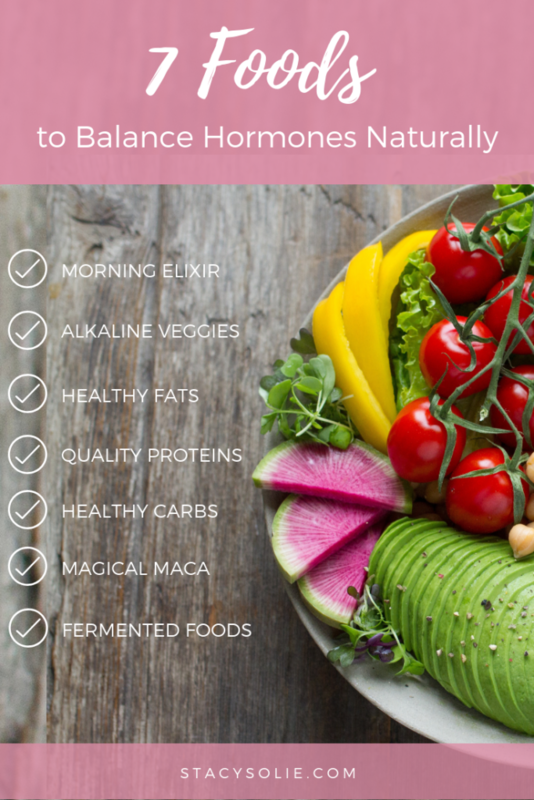 Did you know that you can balance your hormones with food? 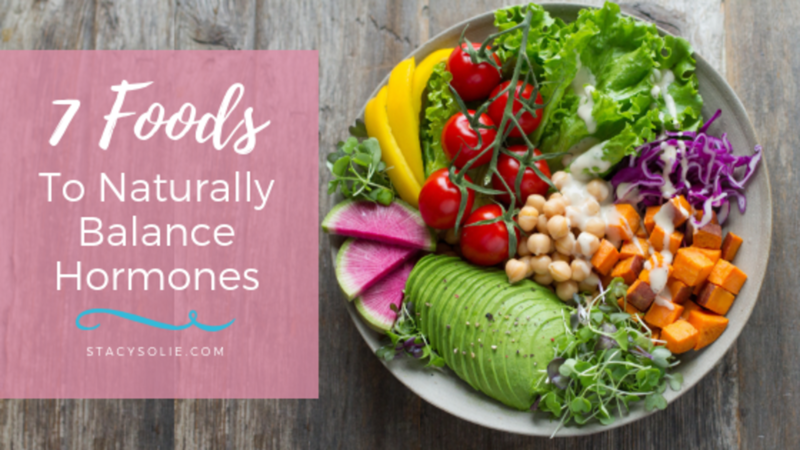 This can help reduce uncomfortable symptoms of perimenopause & menopause while building your bones, collagen, and other essential nutrients that help you feel better as you move into a new season in life. In the blog post below, I’m going to show you exactly how to do this through yummy, wholesome food. The truth is, perimenopause and menopause can be uncomfortable, scary and downright annoying. Especially when it’s happening to your body, and seems to come out of nowhere. You hear other women complain about not sleeping, having hot flashes, uncontrollable cravings, feeling bloated and crazy mood swings, and you think you have avoided the dreaded menopause because you feel fine! And then you start to notice that you’re no longer sleeping very well, you snap at your kids more often, you feel tired at all the wrong times, and overall you just feel blah. You start to panic and think what is wrong with me? I used to be this happy, positive person, and then suddenly I don’t even feel like getting out of bed. Many may even consider anti-depressants for the first time because they just don’t feel like themselves anymore. How do I know? That was me. Not too long ago, I was a health and wellness coach that felt like an imposter. I felt bitter towards my body changing and not cooperating as all the things I was doing was no longer working. As I began to research I noticed that NO ONE was talking about “it”. And when I spoke to my clients, I realized that they felt frustrated and alone. I knew that in order to regain my energy and to start feeling like myself, I needed to find a way to balance my hormones so I feel like myself and so I could share this with more women so they could get the support that they needed. If you can relate, chances are you have a hormone imbalance. Our hormones are the chemical messengers of our body and it is normal for our levels to shift. However, just because it is normal doesn’t mean that you have to suffer through the hot flashes, nights sweats, and the emotional roller coaster of tears and depression. Considering the average age for menopause is 51, but perimenopausal symptoms can begin as early as late 30’s, that means an incredible amount of women are looking for natural solutions to alleviate their symptoms. This is a very long time to suffer while feeling alone in your journey. The good news is that you are not alone and there are many safe and effective therapies to alleviate your symptoms. Below, I share the 7 most effective changes I made to find immediate relief. As a Health Coach, I am well aware of the role that food plays in our wellbeing, so I first researched food and nutrients to see if there were natural ways to elevate my mood, cool my body, and help me to sleep better. This is what I call the foundation. Without the proper nutrient foundation, you will find yourself making changes that are not sustainable. You can bring harmony to your body through proper nutrient intake, which is different during this “season” in our lives than it was before. Just like there are certain vitamins you need while pregnant, there are nutrients your body craves to support itself through perimenopause and menopause. Before your coffee, start your morning with a glass of water, ½ squeezed lemon, a tablespoon of Bragg’s apple cider vinegar, and a scoop of Cabeca’s Mighty Maca. This was an absolute game changer for me. I no longer experience the afternoon slump and I require less caffeine. And that means fewer heart palpitations and hot flashes. By being intentional and selecting more Alkaline vegetables (like kale, collards, cruciferous vegetables, avocado, asparagus and dark green, leafy veggies) you can lower your inflammation and help to bring your hormone levels back into alignment. The best way to keep your body in an alkaline balance and less acidic is through urinalysis test strips. It is recommended to achieve and maintain your PH level to a 7-8 throughout your day. By increasing your healthy fats, you will reduce brain fog, increase satiation (feeling “full), and shed pounds. The key is that the fats are healthy. I add Bulletproof Brain Octane Fuel, which is extracted from 100% pure coconut oil and is a natural energy solution. I add it to my morning smoothies and I can’t taste the difference, but when I don’t add it, I can feel the difference in my energy levels. Another great fat that you can add to your smoothie or salad is flax seeds. Flax seeds have been found to reduce hot flashes, and you can add up to 40 grams per day. Quality proteins and healthy fats are my secret weapons for hormone balance. I keep on hand hard boiled eggs, avocados for salads or snacks, wild salmon (1-2 times per week) and nuts. You can add nuts to salads, smoothies, or just eat them as a snack. They taste great and your hormones will be happy. I recommend a fist-size of proteins to reap the benefits of happy hormones and a slimmer waistline. There are foods to avoid such as refined sugar and carbs, which both wreak havoc on your hormones and emotions. As you age, your body cannot process them as effectively and starts to store them as fat around your midriff. Plus, a diet high in refined carbs can lead to premature aging. 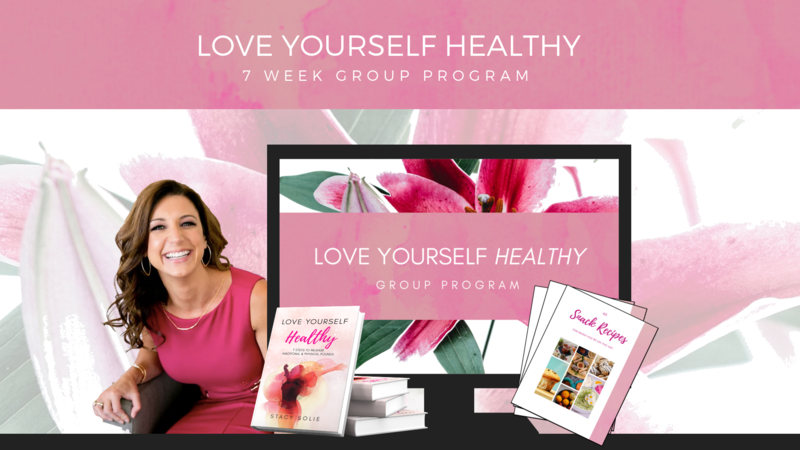 So, I recommend up leveling your options such as sweet potatoes, squash, coconut covered dates, and desserts that are low glycemic and free of refined sugars, such as the recipes I share here. Maca is a superfood that can be added to your smoothies because it boosts energy, balances hormones, improves memory, lowers stress, and boosts libido. Can you see why I call it magical? You can read more about Maca, and get my Magical Maca Chocolate Chip recipe here. Eating fermented foods can help with allergies, depression and bloating. Look for foods such as Miso, sauerkraut, kefir, and Kombucha (which is fermented tea). Kombucha is also a great source of probiotics, which aid gut health. My favorite brand of Kombucha is Health-Ade and my favorite flavor is Pink Lady. I think it is the best tasting, highest quality, and the lowest in sugar. There are many more lifestyle changes and supplements that assist with balancing hormones. But for this blog, I wanted to start with food as the foundation. When making changes, start out slow. Pick one of the 7 recommendations above to start incorporating into your daily life. By starting off slow you can see what works for your unique body and start to notice your body getting back into alignment. If you’re having trouble finding your new groove, don’t hesitate to reach out for support. We were not meant to do everything alone or on our own. This can be a perfect opportunity to lean into, or create support networks that we can enjoy for the rest of our lives. I’d love to hear what you found helpful. Comment below with your action step you are taking and what foods you are adding into your diet for happy, balanced hormones!